Our accounts are designed to best adapt to your trading style and our team is ready to discuss flexible solutions that suit you. Fast, fully-automated and reliable direct-to-market execution in the range of milliseconds - no delays, no requotes, no dealer intervention. EU regulation, fully segregated clients’ funds, held at reputable banks, the Investor Compensation Scheme and world-renowned auditors ensure the safety of your assets. Our ultra-low spreads, combined with a fair fee structure, bring you some of the best conditions in the industry. No maintenance fees, no inactivity fees - only essential and transparent admin fees to ensure smooth funding operations. 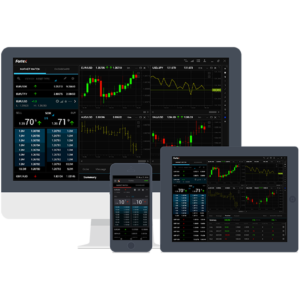 World’s best known FX platform, enhanced by Tier1FX state-of-the-art technology and prime trading conditions.